CLICK HERE to view our full Catalog in PDF format on the web (can take a bit of time to load). This program is designed to give you an overview of the field, and provide you with skills to be able to do sound healing sessions and on others and sound baths. Many skills are taught that you can use to make obtain work or open your own business. The program is 3.5 months, 3 nights per week and some weekends and is offered 3 times per year. We also offer an Intensive version over the summer. The Certificate Program is the 1st semester of a 4 semester Degree Program. You may start with the Certificate Program and then continue with the Degree, if you like. The Degree Program is designed to help you become a master sound healer. Globe Institute of Recording and Production offers complete a certificate and an associates degree in sound healing and sound therapy — the study of the effect of sound on human beings physiologically, psychologically, emotionally and spiritually. The College provides a comprehensive curriculum that has been designed with careful consideration and experience to provide a full perspective on everything going on in the field — with due consideration for what students most want to learn, and the skills needed to be able to work in the field. The sound healing programs at the Institute were established in 2002. We are the only school on the planet that offers a certificate and associates degree in sound healing and therapy. Our entire staff are masters in the field, and have years of experience — some as much as 40 years. They are some of top researchers and educators in the field, and are full of heart felt caring — dedicated to helping students get what they want out of the program. We set our intention for each student to get what they need for their own highest good, and for the highest good of those that they may help in the future. The Program is not just one person’s perspective. Students receive a variety of perspectives on the use of Sound from a wide variety of Instructors. We also strive to stay on top of new developments and research in the field in order to provide students with the known science available in the field. But we also explore ancient esoteric and powerful techniques that include how to raise consciousness that have not yet been proven or researched. There are a wide range of techniques that utilize sound as a tool for change. The most common and basic use of sound is for meditation and relaxation. Chanting, toning and overtone singing are some of the most powerful methods for resonating sound throughout the body. The use of nature sounds and natural instruments, such as crystal bowls and tuning forks, have specific healing frequencies and harmonics. Drumming and rhythm are now used by corporations to release stress and build team consciousness. Shamanic drumming takes people into altered states of consciousness. Sound is now being using by clinical psychologists to help children with certain learning disabilities. Binaural beat frequencies are used to entrain people into very specific states of consciousness. Sound is used to alter brainwave states to help people with sleep disorders and facilitate creative expression. Listening to one’s own root frequency enables an individual to create a more centered and grounded awareness within their life. Sound and music are also used to help with difficult life transitions, including birth and death. The medical community also uses sound and music in a variety of applications such as during surgery to minimize the use of anesthesia, and to break up kidney and gall stones. Doctors are now finding the resonant frequency of organs in order to help vibrate them back into a healthy state. More exciting is cutting-edge research that shows how sound might be used to disintegrate diseases such as cancer. Perhaps most exciting is the use of sound and music to transform consciousness – First, to release deep emotional issues; then, to more consistently resonate the vibrations of love and light — including gratitude, compassion, joy and Universal Love. Ultimately, to use sound to bring us into a state of oneness with everyone and everything in the Universe. You may setup your own practice or work within an established institution such as Integrative Therapy Centers or Complementary Medicine in Hospitals, Alternative Healing Centers, Chiropractic or Acupuncture Offices, Private Healing Centers, Drug Rehab Centers, Physical Therapy Offices, Health Spas, Yoga Centers, or Retreat Centers. Sound Healer or Practitioner – Work on clients with a full range of issues or for simple relaxation and well-being using voice, crystal bowls, tuning forks, other instruments and CD’s. This also might include a wide range of technologies such as sound tables, Cymatherapy, or voice analysis, to name a few. Sound Therapist – Working with clients for correction of learning disabilities including ADD and ADHD, correction of auditory tonal processing difficulties and abatement of hearing sensitivities. You may also work with Autism, Dementia, Alzheimers and Parkinson’s. Sound and music are especially helpful for pain management and sleep issues. Working with doctors, sound can be used to disintegrate and transform diseased cells. Sound is being used to break up kidney and gall stones, and malignant cells. It is also being used to break up plaque on teeth. Corporate World – You will be prepared to work with corporations for relaxation, stress reduction, team building and creative inspiration. It also includes designing and setting up office and treatment room ambiances. Sound Baths – You will be prepared to perform for groups with a wide range of sound healing instruments. are incorporating Psychoacoustic techniques into the production of commercial albums. In the Sound Healing Program you will learn many concepts that you could use to design a wide range of Sound Healing Music. If you would like to actually record, mix and produce Sound Healing Music, we recommend you also take the Recording Arts and Technology Certificate Program. Researchers – There is a large number of funding resources including Government and Private grants. There is a wide range of research going on in the industry including: studies of the psychological and physiological effects of music and sound. There is work on how sound and music affect emotions, and how to use binaural beats to entrain a person’s brain into particular brainwave states of consciousness. There are a large number of companies doing research on energy medicine technologies. There is also some very interesting research focusing on how sound and resonance within a cell trigger chemical reactions and cellular processes, and how cells and organs communicate with each other using sound. Perhaps the most exciting is the research on how resonance works at the Quantum level. Students may collaborate with our own Sound Healing Research Foundation. Inventors – Many people are simply creating new technologies. Once you learn the wide range of information contained in the classes, the future is ripe with possibilities. We are interested in supporting creative technologies that will help large numbers of people. Educators – You will be prepared to off basic workshops in sound healing. There is an increasing number of people who are working in soundwork education. More hospitals are now open to classes for nurses. This is the main heading that the Bureau of Labor uses for alternative therapies. Many students end up working as treating practitioners. This would also be a Sound Practitioner. You could do work with sound alongside professional healthcare workers. This would be for those who do Sound Workshops after graduating. This includes doing work for hospice, dementia or elderly centers. There are four main areas of our system where sound and music have been proven to be effective: physically, mentally, emotionally, and spiritually. Of course, often these overlap – for example, emotional healing might cause physical symptoms to go away. Physically – Based on physics, sound affects matter. At the most basic level sound transmits energy into whatever it comes into contact with. The law of resonance, where a strong vibration will cause a weaker vibration to vibrate at the same frequency, is the core concept of all sound healing. This accounts for how sound can relax a muscle, how it can help to heal an organ or nerve, and how it might even transform a disease such as cancer. In the classes we will not only explain how physical healing occurs, but also explain many techniques on how to do so safely and effectively. Emotionally – Many in the wide field of healing believe that stuck emotions account for, and are at the root of most of the issues and diseases we manifest, with some saying stuck emotions cause as much as 50% of all diseases (environmental causes being another large part). We already know how powerful music can be to transform our emotions. We have now discovered how to use sound to release stuck emotions. In the classes we will share nine simple techniques on how to release stuck emotions – many that you can do in the car, when in the thick of an emotion, or in a professional sound therapy setting. Mentally – There has been extensive research clearly proving that when we listen to frequencies within the range of a brainwave (beta, alpha, theta and delta) our brain will be entrained into that frequency within a few minutes. “Binaural beats” are frequencies that we can create within the frequency range of the brain. Therefore, we can easily use binaural beats to entrain our brain into states that help with things like ADD, ADHD, post traumatic stress, learning disabilities, sleep disorders, including enhancing mental clarity, memory, and creativity. When we listen on headphones these frequencies also synchronize the left and right brain, which is our optimal state. Now there is research showing how to use these binaural beat frequencies to lead us into states of deep meditation, and higher emotions of love and joy. You will learn how to create these binaural beats and how to use a wide range of resources currently on the market. Spiritually – Spiritual healing can mean a lot of things. In the classes we start by using sound to clear emotional and physical blockages. We then focus on raising your consciousness and vibration by using sound to resonate you into higher emotions such as gratitude, compassion, love and joy. Some say that higher consciousness is simply being in the frequency of these higher emotions. Sound can also be used as an avenue to connect us to the higher energies of Universal Love, or Spirit and Source. Even if you already know how to open your own connection to Spirit, the right sounds and music can enhance that connection and make it even stronger. On a much deeper and far more esoteric level, sound can be used to connect us more directly to our Soul. Many believe that when we listen to the sound of our Soul (instead of our ego and personality) and develop a direct connection to it, we receive guidance on how to live our lives more fully. We also hope to inspire and safely guide students who might be interested in coming up with their own creative treatment modalities. 1. Assessment Techniques based on sound – You will learn how to do an assessment on yourself or a client using your voice, intuition, or voice analysis technologies. These techniques can be used as part of a Sound Healing treatment. 2. Voice Healing -You will learn a detailed technique using the voice for assessing what is going on in a person at multiple levels, then connecting to source, and using the voice to affect resonant changes in the person. Many students take this skill and open a business around it. You can also use Voice Healing as one part of a whole treatment. 3. Treatments with Crystal Bowls, Tibetan Bowls, and other Natural Instruments – You will learn various techniques for performing a live treatment on someone with natural instruments. You will also learn how these instruments affect a person physically, mentally, emotionally and spiritually. This will also give you an understanding of the effects of these sounds when playing back a CD. 4. Tuning Fork treatments – You will learn various techniques for using tuning forks on the body and acupuncture points, including a variety of tuning fork types and frequency combinations for different issues. This is another technique that a student can build an entire business around. 5. Performance and Channeling Techniques for Singers – You will learn a wide range of subtle techniques for making sounds with your voice to help yourself and others. You will also learn and become aware of where your tongue and lips are when creating precise sounds. You will learn to free your voice and how to find your soul song and use it for healing. 6. Leading Chant and Kirtan – You will learn a wide range of chants, mantras, and overtone singing techniques. 7. Discerning a Person’s Root/Soul Frequency –You will learn how to find the “signature” frequency, for yourself and others. It has been shown in research that when you resonate this frequency you are more grounded and centered. This is our most popular treatment in the Therapy Center. It also works well to be able to then play a CD on the Sound Table in the key of the person’s Soul. 8. Clearing Stuck Emotions and Pain with Sound –You will learn 9 techniques for using the voice to release stuck emotions. This is one of the most powerful and important techniques because stuck emotions account for approximately 50% of all disease. You will also learn how to use sound to release pain. This a very powerful technique around which you could build a business. It is also often used by Psychotherapists as a supporting modality. 9. Chakra Treatments with Sound – You will learn the frequencies of the chakras, and how to do a clearing on yourself and others. A number of students have created a business around this treatment. 10. Voice Analysis – You will learn the basics of using the VoiceBio system. We will show you how to find missing frequencies in a person’s voice and the organs and diseases these frequencies are associated with. There are about a dozen voice analysis systems that you will learn about — all of which could be the foundation of a Sound Healing business. 11. Brainwave Entrainment with Binaural Beats – (Using other’s CD’s or creating your own) – You will learn how to create and use Binaural Beats to entrain the brain into different brainwave states – gamma, alpha, theta, and delta. These states help with ADD, ADHD, memory, mental acuity, creativity, sleep and higher states of consciousness. You will also learn how to use you’re your voice to create a binaural beat oscillation to breakup any stuck energy or issues in a person. You can sell CD’s for specific issues, or with a complete EEG unit you could do some serious targeted work with patients. 12. Accessing Higher Vibrations – You will learn how to find the frequency of higher vibrations such as love, joy, gratitude, and spirit. You will learn how access Universal Love with sound and how to bring this energy into your work and life more consistently. This a powerful technique that can dramatically amplify the results of whatever work you choose to do. Power of intention – You will also learn how to consistently hold your intention in a healing session, and how effective a consistent intention is. Bringing someone to a relaxed state (activating the parasympathetic) – You will learn a wide range of techniques including sound, color and geometry for bringing someone into a relaxed state of being. Setting a Sacred Space and Atmosphere – You will learn how to set a sacred space with sound, color, light, and geometry. You will also learn specific techniques using your intention to energetically set the space. Archetypal Frequencies – You will learn a full variety of specific frequencies that have either been proven to create certain effects, or those that have been used for thousands of years in ancient traditions. Find frequency of Organs and the Spine – You will get a list of the frequencies of various organs (and the spine) so you can use those frequencies on the organs in order to facilitate healthy functioning. You will also learn how to intuit the frequency and harmonic structure of a particular organ or disease. Healing Music – Throughout all of the classes you will learn the wide range of differences between healing sounds and music. This will give you a clearer idea of how any music you come across is affecting you physically, mentally, emotionally, and spiritually. Natural Tuning Systems – You will learn how important it is to use natural tuning systems based on the harmonics in nature in the music you use or create. Tuning systems such as Just Intonation and the Pythagorean Tuning systems. Musical Intervals and States of Consciousness – How different musical intervals (the relationship between two notes) can affect your consciousness. This helps you to understand the best music to use for someone or yourself. 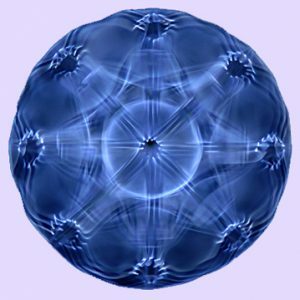 Sacred Geometry and Color – Different Sacred Geometry images may be placed around the body, or visualized inside the body to create specific changes. The classes teach which images are used for what purposes. Different colors may be placed around the body, visualized inside the body to create, or used with corresponding sounds to affect specific changes in people. You will learn which colors are best and how to intuit which is the best for yourself and others. 1. We teach how to do sound healing instead of just learning about it. We actually practice it. 2. At the Institute we have an entire store full of sound healing instruments that the students get to play with. You can get to know the tools that resonate best with you. 3. At the Institute, the classroom is not your normal classroom. It is a beautiful sacred space with high end scalar wave devices to help hold a stable and high vibration. It is very conducive to doing sound healing sessions — Students are able to go really deep. 4. We have an active Therapy Center where we practice sound healing. 5. Our program is very cohesive — not just a bunch of different seminars. 6. Students that have gone to other Programs say ours is the best. 7. At the Institute we have some really cool and fun technologies. Students can come in and go on the Sound Lounge or Tables and be vibrated into bliss whenever they like. 8. We are the leaders in research in the field. We have a non-profit Sound Healing Research Foundation that is researching all the frequencies within the human system. We are also working with centers for Autism and PTSD that are using our array of sound treatments. We have also developed treatment protocols for depression, anxiety, anger, grief and ADD/ADHD and will be doing more research in each area. At the Institute some students may intern in these centers or in the Research Foundation. We have also developed relationships with hospitals and therapy centers where students may also get to intern if they like. 9. We are working to bring Sound Healing into elementary and high schools. We have been awarded a grant to create a curriculum for bringing Sound Healing into Montessori schools, and ultimately all public schools. 10. The Director and Lead Instructor, David Gibson wrote the #1 selling book in the field, “The Complete Guide to Sound Healing. 11. You will find and get to know your Soul Note (and learn how to find it in others), your voice note, the frequency of love for you, the frequency of each of your chakras, and what notes are missing in your voice. You will also receive many sound healing treatments from your classmates. 12. We have developed an active community of sound healing events… a good place to network and connect. Students practice these techniques in our Sound Therapy Center. CLICK HERE to see examples of the above treatments being offered in our Sound Therapy Center. Each student receives a 300 page Reader of collected materials from all of the Instructors. This Reader is an amazing document of collected materials that you won’t find anywhere else in the world. To give you an idea — CLICK HERE to see the Reader Table of Contents. It also gives you more detail about the type of information covered in the various classes. The Institute promotes inquiry, awareness of sound and music and builds community. The College maintains openness and enthusiasm for learning, including refinement of analytical and critical thinking. The Institute strives to create a learning environment ripe with challenge, openness, exploration and new ideas that helps lead students to employment in the fields of Sound Healing and Audio Recording. We support the sound communities by sponsoring events that bring together students, practitioners, educators and researchers in the field to share findings, resources and further the field as a whole. Through the dissemination of information, the school seeks to create increased awareness and acceptance of the powerful effects of sound and music – in all manifestations – and the impact they have upon individuals, alternative healing centers and the entire medical industry. The Sound Healing Research Foundation has been setup to help with one of the core missions of the school — to bring Sound and Energy healing into the mainstream (hospitals and homes). The Foundation is here to educate students and the public on how to access funding for Research Projects. The Foundation has also been designed to help attract funding for important Sound Healing research — crucial to bringing Sound Healing into the mainstream. Students in the Degree Program get to do sound healing research projects on their own, or join with others who are doing Sound Healing Research within the Foundation. We also look forward to working on unique and world changing research projects that any student might come up with. The Foundation is a clearing house for creative research ideas. The Foundation is the center of the ongoing research being done by the Virtual Reality Sound and Light Healing company, which is creating a wide range of new sound technologies. Our first research project is on The Sound of Love. We are doing research on the frequencies, musical intervals, and musical components that most open the heart to love — particularly Universal Love. Once we have the research data, this information will be used within a Virtual Reality system to more effectively open people’s hearts. Realizing that research will only go so far in the mission of bringing Sound Healing into the mainstream, the Institute has also created a wide range of mass media entertainment projects with the underlying goal of educating the masses about the effectiveness of sound and energy healing. We have created a major Cirque style play that incorporates Sound and Visual healing in 3D. We have also created a major movie that also incorporates a full range of Sound and Light healing components. We feel that once the masses know about the effectiveness of sound, the masses will demand it, bringing it into the mainstream. The program is focused on Natural Sound Healing but we also have a wide array of technology. If interested, you may experience and experiment with some of the technology. Even if not interested in the technology, you still receive the benefits of the research being done with our technology as we learn more about how sound affects us physically, mentally, emotionally, and spiritually. The Institute uses Biofeedback Equipment such as: EEG, Heart Monitors, and Galvanic Skin Response to monitor physiological responses to frequencies, musical intervals and music. Research is designed to help bring effective esoteric techniques into the mainstream. Students may use the equipment in labs and may use the equipment on their own research projects. Use of unique sound transmission devices. The Institute utilizes sound chairs and tables, each with built-in speakers, to effectively transmit sound through the human body. Students utilize the equipment during labs where they experience the wide range of sound healing products currently available in the market place, as well as offering them the opportunity to test the efficacy of their own projects. Additionally, the Institute utilizes the Neurophone which transmits ultrasonic sound directly into the brain. New, cutting-edge technologies for the transmission of sound into the human body are currently being researched and developed at the Institute. Use of the latest sophisticated sound analysis technology. Using the latest sound analysis program, Raven, from Cornell University, you will be able to see the underlying physical structure of nature sounds. Not only does this give you a deeper understanding of sound, but you can also use this information to add subtle power and magic to sounds used in your sound projects. CLICK HERE for more information on Raven.